Is Portola Pharmaceuticals Inc (PTLA) Worthy of Your Portfolio? Hedge fund managers like David Einhorn, Dan Loeb, or Carl Icahn became billionaires through reaping large profits for their investors, which is why piggybacking their stock picks may provide us with significant returns as well. Many hedge funds, like Paul Singer’s Elliott Management, are pretty secretive, but we can still get some insights by analyzing their quarterly 13F filings. One of the most fertile grounds for large abnormal returns is hedge funds’ most popular small-cap picks, which are not so widely followed and often trade at a discount to their intrinsic value. 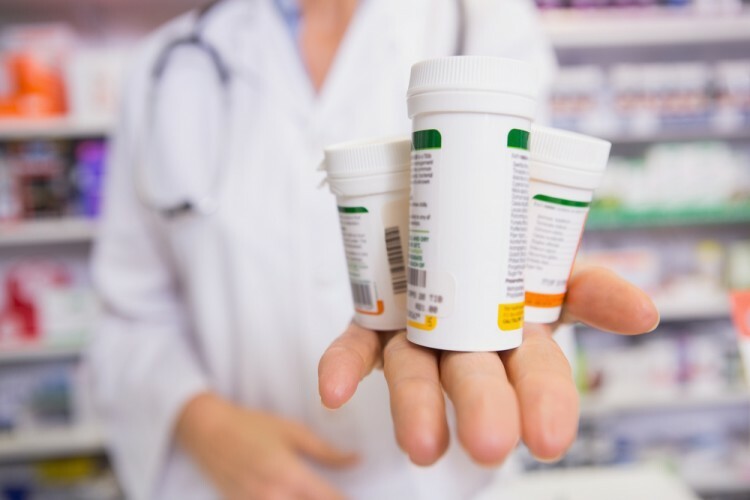 In this article we will check out hedge fund activity in another small-cap stock: Portola Pharmaceuticals Inc (NASDAQ:PTLA). Portola Pharmaceuticals Inc (NASDAQ:PTLA) investors should be aware of a decrease in hedge fund sentiment recently. There were 15 funds tracked by Insider Monkey long PTLA at the end of September, compared to 17 funds at the end of June. At the end of this article we will also compare PTLA to other stocks including Actuant Corporation (NYSE:ATU), The E.W. Scripps Company (NYSE:SSP), and Apogee Enterprises, Inc. (NASDAQ:APOG) to get a better sense of its popularity. Now, let’s analyze the new action surrounding Portola Pharmaceuticals Inc (NASDAQ:PTLA). At the end of the third quarter, a total of 15 of the hedge funds tracked by Insider Monkey were long this stock, down by 12% from one quarter earlier. 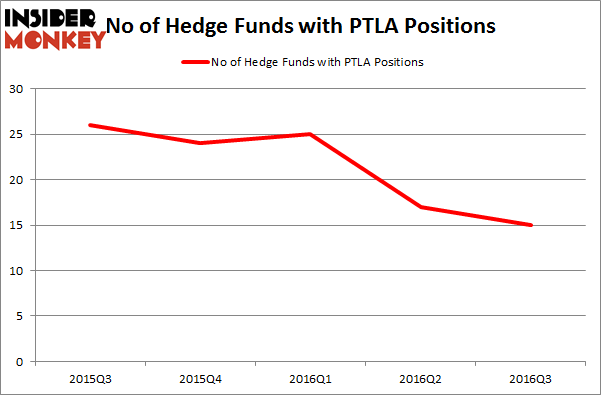 On the other hand, there were a total of 24 hedge funds with a bullish position in PTLA at the beginning of 2016. With the smart money’s sentiment swirling, there exists a select group of noteworthy hedge fund managers who were boosting their holdings considerably (or already accumulated large positions). When looking at the institutional investors followed by Insider Monkey, James E. Flynn’s Deerfield Management has the number one position in Portola Pharmaceuticals Inc (NASDAQ:PTLA), worth close to $128.1 million, corresponding to 6% of its total 13F portfolio. Sitting at the No. 2 spot is Jerome Pfund and Michael Sjostrom’s Sectoral Asset Management, with a $32.2 million position; the fund has 3.2% of its 13F portfolio invested in the stock. Some other professional money managers that hold long positions comprise Jeremy Green’s Redmile Group, Bihua Chen’s Cormorant Asset Management, and Israel Englander’s Millennium Management. We should note that none of these hedge funds are among our list of the 100 best performing hedge funds which is based on the performance of their 13F long positions in non-microcap stocks.